Our family has a vision for reaching out to others with the love of Jesus. Whether it be in our family, in our neighbourhood, in our community, or around the globe, we hope to spread a little light where we can, with what we’ve got to offer at the time. We have such a strong desire to live that out in our family, and we’re trying to discover ways to do that together. 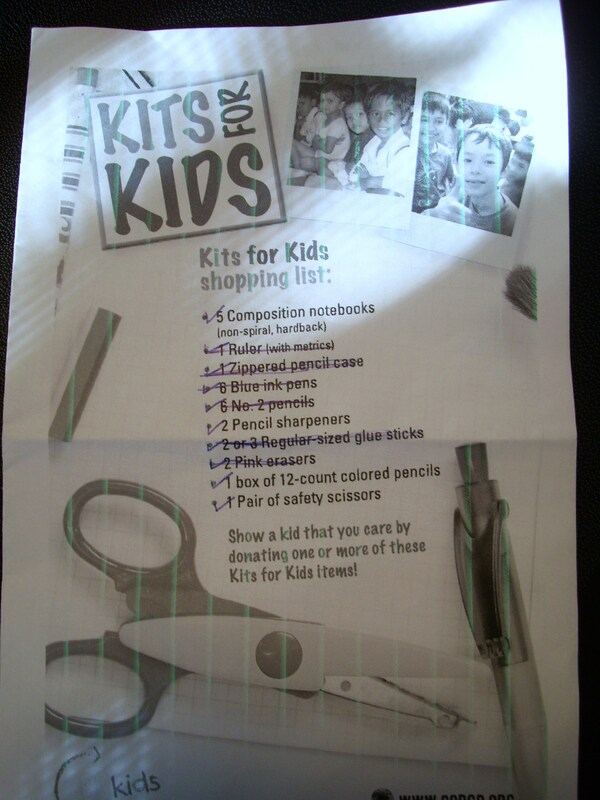 A friend introduced me to the idea of Kits for Kids. 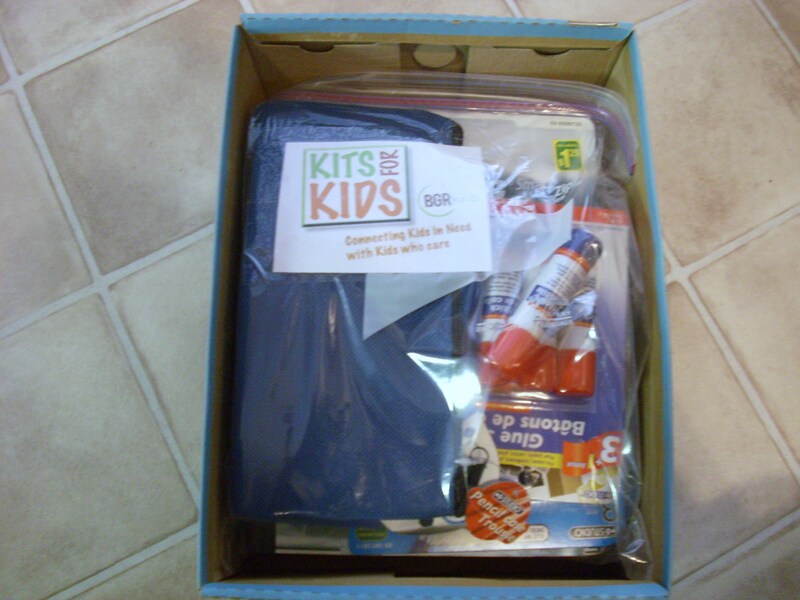 Here is the link to Kits for Kids for Canada. 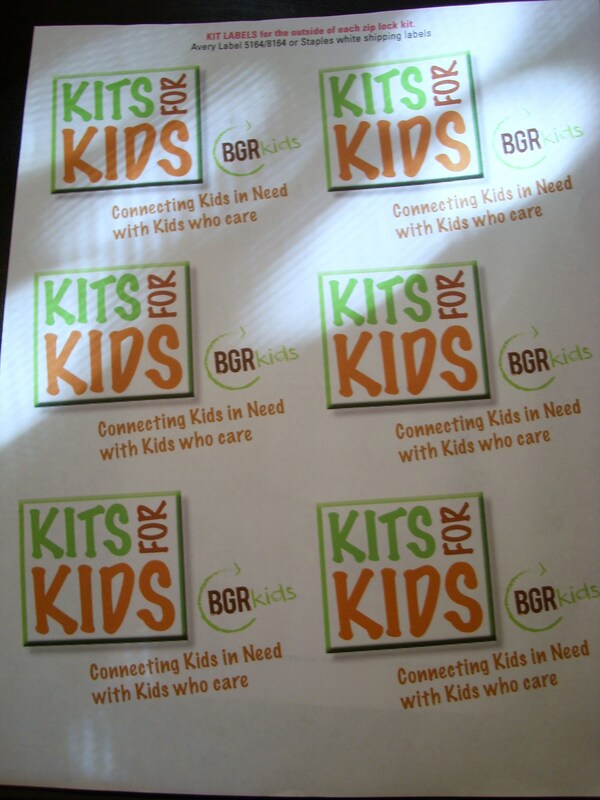 Here is the link to Kits for Kids for the USA. 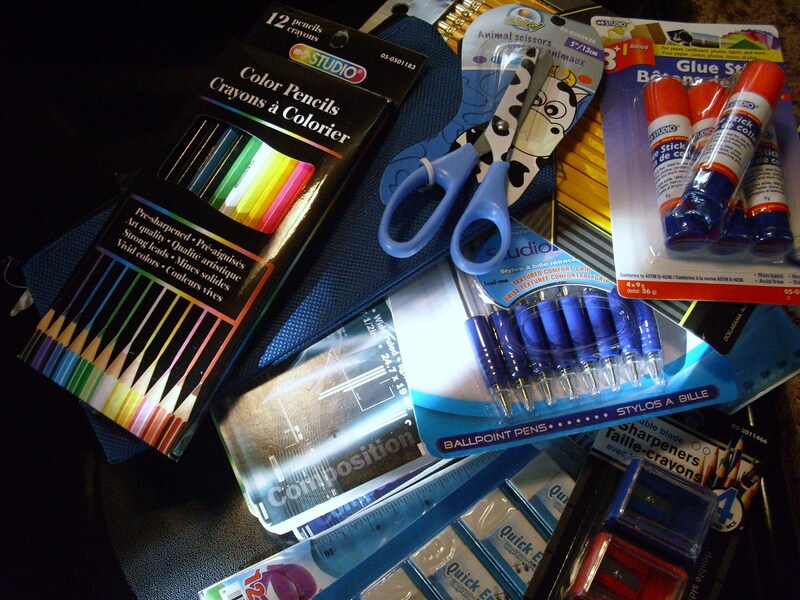 This project is all about gathering school supplies and packing them into boxes to be sent to children in developing countries. These children don’t have the means to buy school supplies, and often can’t attend the institutions that would give them so much hope for a better future. As our children went off to school this fall, we were reminded to help other children realize their dreams through education. 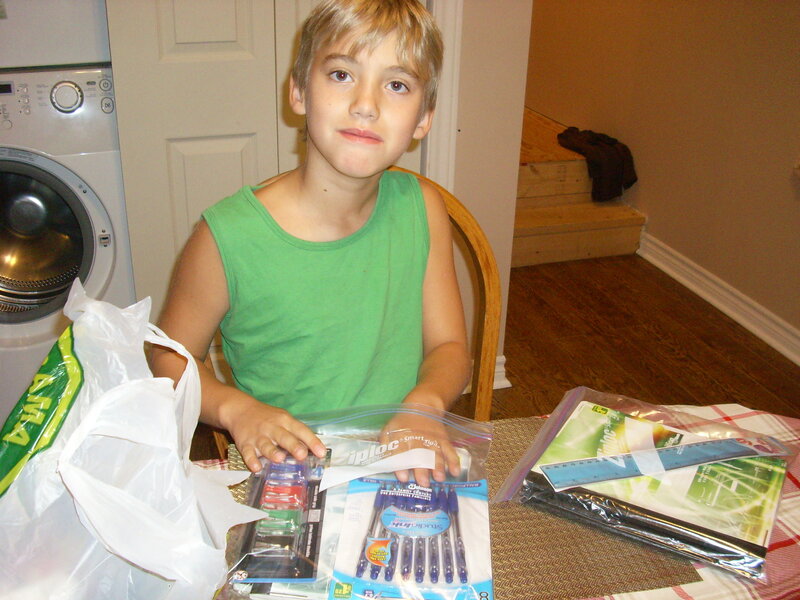 We made a special trip to the store to buy the supplies – the boys had fun with this and I let them choose the materials as much as possible, so they could own this act of service. 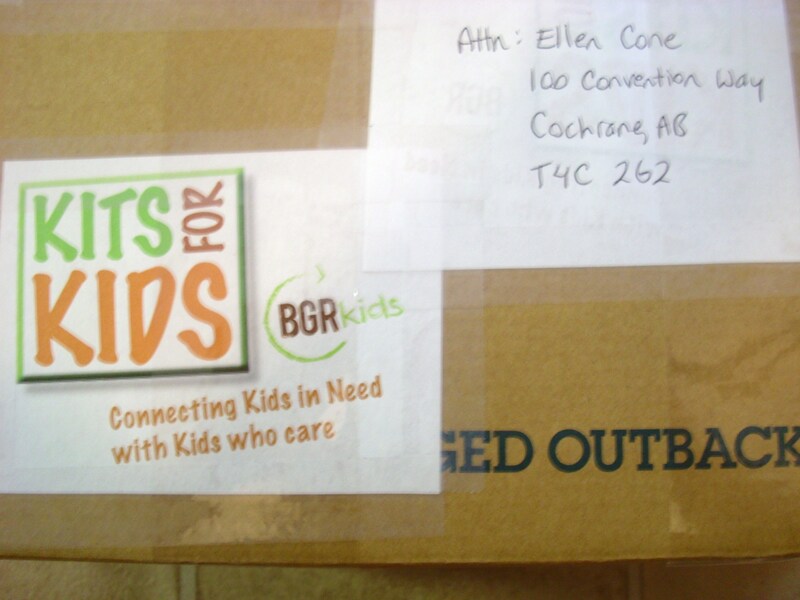 We packed the supplies into plastic bags, as per the instructions, and packed those into a box to ship to the Kits for Kids coordinators. From there the supplies will be shipped where needed. 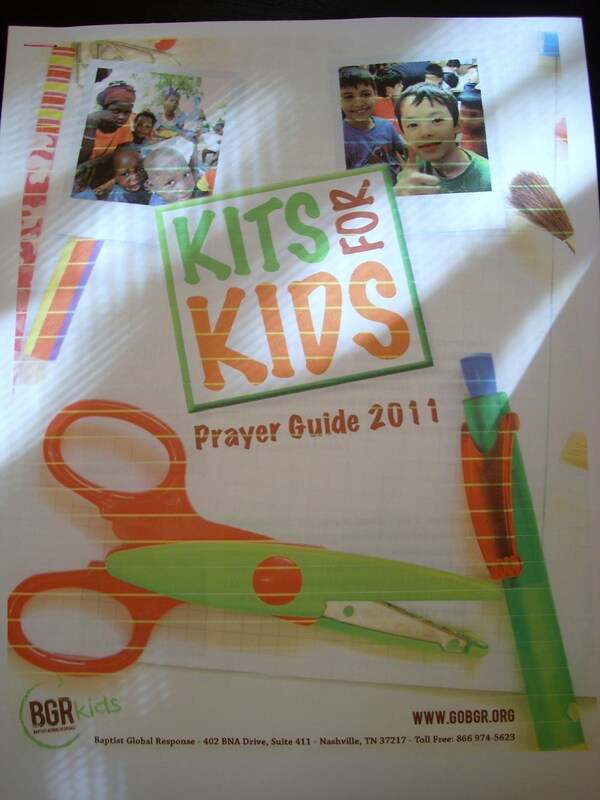 The Kits for Kids program also provides a printable Prayer list that highlights a different child every day – Monday to Friday, each from a different country. The prayer sheet includes a glimpse of what education is like in each country. Our family enjoyed this project, and we were able to talk about children in other countries and give our boys a glimpse of some of the struggles they have and how we can help. I love equipping my sons this way, and showing them in tangible ways that they really CAN make a differenece, no matter where they live or how much money they have. Anyone can help others. Everyone can help others. Do you have any ideas to share for reaching out to our world with our families?